Olympic gold, another World title. What a year it has been for Christine Nesbitt, London’s queen of the long blades. Christine has all the earmarks of a champion. 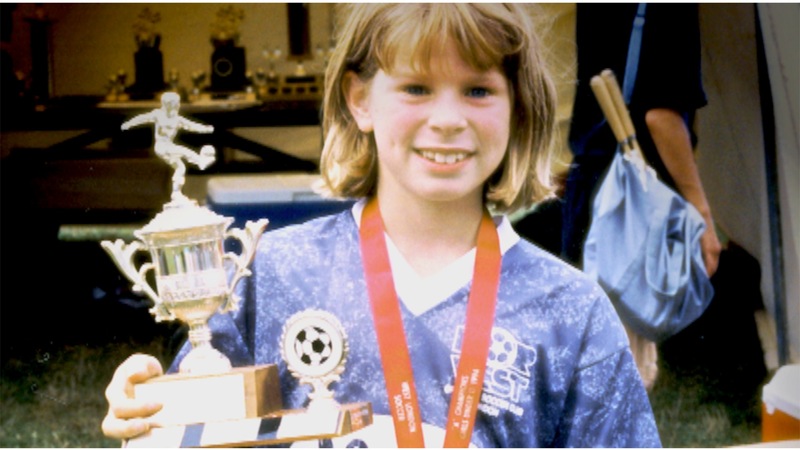 Right from the time when at age 13 she won a silver medal with the Ontario short track team in the Canada Winter Games, she seemed destined for glory. In the Spring of 2005 she won the Canadian long track “Rising Star Award” and this Banting high school grad was en route to being at the top of her class. A thoroughbred who would become only the third athlete to win an Olympic gold medal on Canadian soil. In a sport where medals are determined by one hundreds of a second she has amassed an amazing record and she’s far from finished. 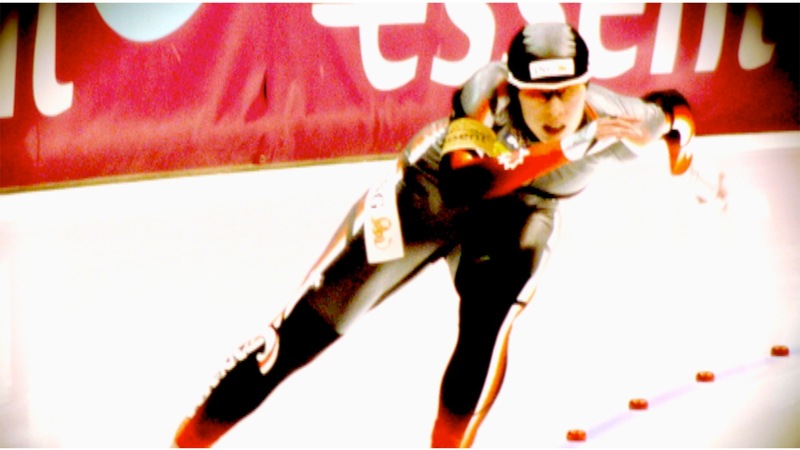 Her victory in the 1000 meters at the Vancouver Winter Olympics was a follow-up to the silver she had earned in the team pursuit at Turin, Italy at the 2006 Games. It was there that she combined with Kristina Groves and Cindy Klassen to set a record of three minutes, one point 24 seconds. 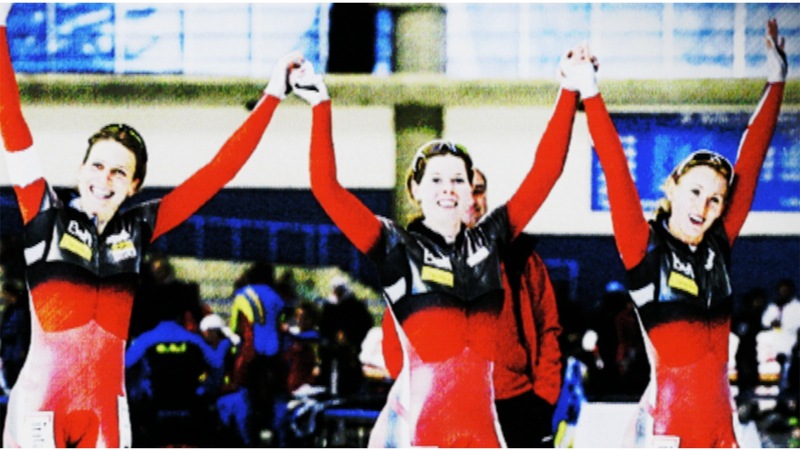 In 2009 Christine, Groves and Brittany Schussler set a world pursuit record of two minutes, 55.79 seconds in Calgary. In addition to her Olympic medals, her trophy chest also includes three golds, one silver and two bronze in the world single distance championships. AND in world cup competition, including team pursuit, her medal count has reached a staggering 14 golds, 24 silvers and 11 bronzes. All of this for a young superstar who only reached her 25th birthday last May! It’s little wonder that Australian-born Christine Nesbitt who grew up chasing a hockey puck with the London Devilettes is this city’s golden girl. 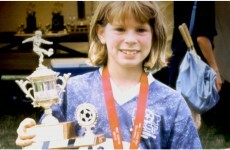 Christine took an early interest in track and field events and in cross-country competitions in addition to hockey while attending Jean Sauve primary school. 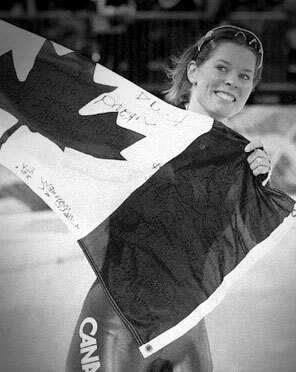 She switched to speed skating with the London Speed Skating Club at age 12 and continued her interest in running and speed skating while at Banting Secondary School where she graduated as an Ontario scholar. In 2003 she entered the University of Alberta as an engineering student while training in Calgary before the Richmond, B.C. oval was available. To attempt to encapsulate her achievements would take hours. This remarkable young woman has already entered the record books as a trail blazer in her sport close on the heels of past Canadian stars such as Catriona LeMay Doan, Kristina Groves and Cindy Klassen. As a reprise to her Vancouver triumph, Christine capped the past season by winning a second straight World championship in the 1000 meters. Held in Heerenveen, Netherlands, she placed seventh but her overall points lead was never in doubt as she had won earlier races in Berlin, Heerenveen, Hamar Norway and Calgary. The Netherland’s Margot Boer was a distant second trailing by 77 points. What will Christine Nesbitt do for an encore? Well, there’s the defence of her Canadian championship, her International Skating Union world title, and her Olympic crown at the 2014 Games in Sochi, Russia hard on the shore of the Black Sea. But for now she’s London’s queen of the long blades and the London Sports Hall of Fame is proud to welcome her aboard as a 2010 inductee in the athlete modern category.